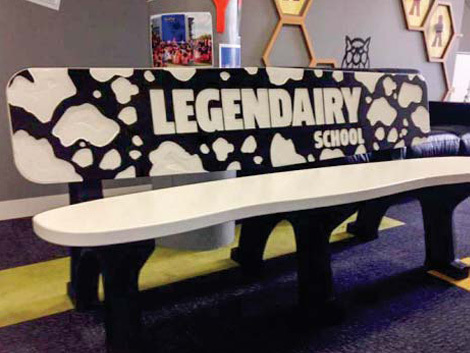 Winning a seat in the dairy Australia ‘Legendairy’ school competition was the start of a whole new world of plastic recycled seating at Elizabeth Vale primary school in SA. 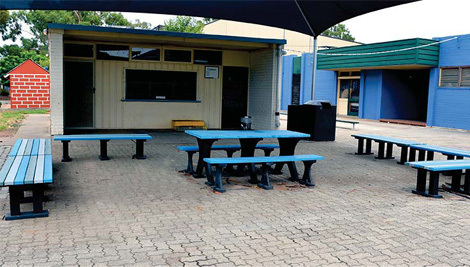 When the school discovered the benefits of Replas products they decided to make the switch and now have a range of benches and settings throughout the school. Charmaine Jenkins from the school said “the teachers, parents and students all love the new seating. Its comfortable, colourful and doesn’t get hot. 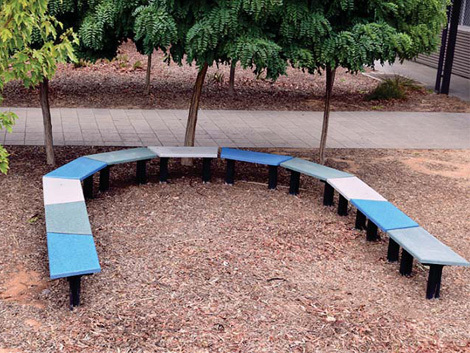 They also like the fact that it is recycled plastic and like that they are helping the environment.” According to Charmaine the main benefit of the seating that “its easily cleaned and low maintenance” adding that they love it so much that they are looking at using Replas in the adventure playground they are planning for later in the year.